Crone is a very old village situated on the southeastern shore of Lake Idro. The apartment is part of a two-family house containing 2 newly built apartments, both located on the ground floor. They lie just above the village of Crone and offer a beautiful view of the lake and surrounding mountains (with peaks rising more than 1500 meters above sea level). Walk down the narrow streets of the village to the market square where every Wednesday the local market is held. Living space of each apartment is approx. 95 square meters. The apartment has a large living room with a kitchen (with dishwasher); 2 bedrooms; 2 bathrooms (1 with a shower and radio); and private parking. The apartment also offers Wifi internet access, a laundry, and a garden with a terrace (with a table and chairs, sun loungers and umbrellas). From your apartment you can enjoy a wonderful view of the lake and surrounding mountains (Dolomites, Valvestino and the Alps). There are many sports activities in the area such as windsurfing, sailing, kite surfing, mountain biking and trekking. You can also admire the territory from the air during a round trip tourist flight. Bicycles can be rented 300 meters away so you can explore the wonderful environment of Adamello, Alto Garda and Giudicarie. 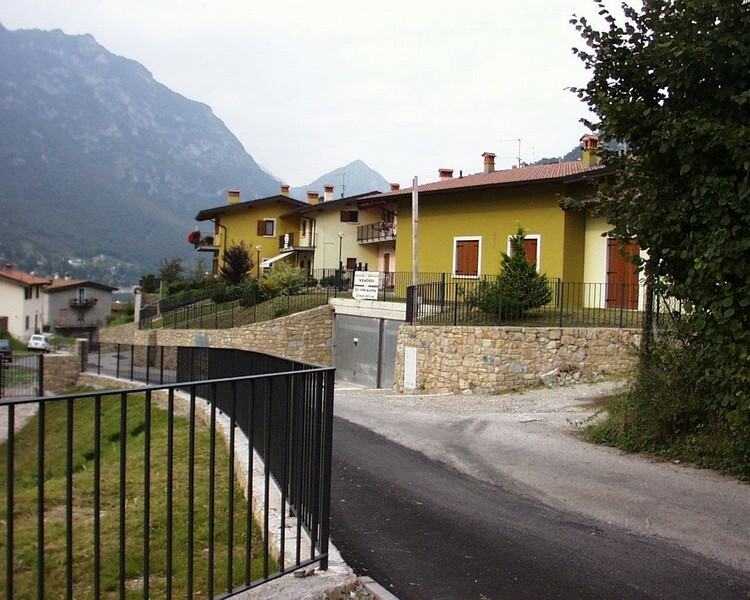 In the surrounding area you will find several markets: Wednesdays in Crone and Tuesdays in Ponte Caffaro on Lake Idro. There is also plenty of opportunity for hiking in this beautiful mountainous area. Of course you can also make excursions to Brescia, Verona, Mantua, Venice and Milan. For advice and booking of tourist programs you can contact the reception desk. highchair and crib 40 euro per item per week. Arrival time: between 3:00 pm and 8:00 pm. Departure time: between 8:00 am and 10:00 am. You need to arrive before 10:00 pm at the latest.